On Wednesday 30 November, over half of Year 9 and a number of teachers braved the blade as a show of support for one of their peers who is battling Leukaemia. We were most fortunate to be joined by the student’s family who were able to witness first-hand the bond shared amongst the boys. 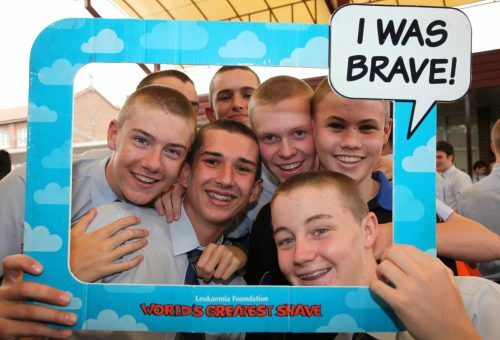 The College wishes to thank all the parents and friends who gave up their time to shave the boys’ hair as well as the students involved in the organisation of the event. Due to the generosity of those who participated, we were able to raise over $10,000 for cancer research – well over the original goal of $5,000!